Botanic Garden Meise is one of the largest botanic gardens in the world. 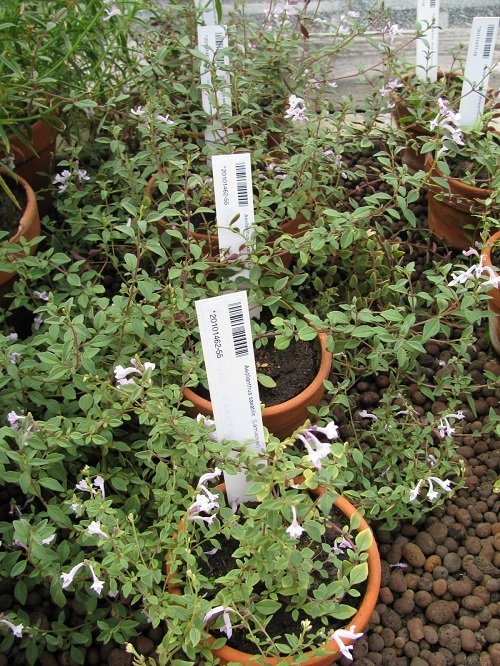 The living plant collections contribute to the botanical and horticultural research as well as to the education and conservation activities of the Garden. The greenhouse and outdoor collections together hold nearly 25000 accessions of living plants (about 17400 taxa and 3170 genera) which is about 6% of all known plant species of the world. Half of them can be seen in our greenhouses (Plant Palace), the other half, comprising cultivated and indigenous plants, grows outdoors. The Outdoor Collections accommodate about 7630 taxa from all temperate regions of the world. A major part of them is planted in thematic collections open to the general public. Three systematic collections form the core of these plantings: the Herbetum (herbaceous plants arranged to the systems of Cronquist & Takhtajan), the Fruticetum (woody plants arranged to the system of Dahlgren) and the Coniferetum (gymnosperms arranged by genus). 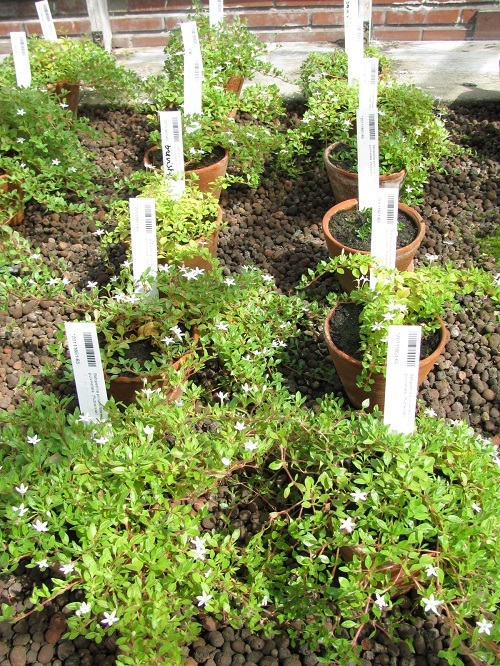 Nearly all hardy or 'half-hardy' genera are represented in these collections. Another collection type is shown by the genera collections which give a thorough overview of the representatives of species and cultivars in the genera Quercus, Rhododendron, Hydrangea, Acer (Japanese & Chinese), Magnolia. Other developed thematic collections are the medicinal plants garden, the North American forest theme, the Mediterranean plants collection. A lot of collection plants are displayed in shrubberies and mixed borders all over the park. Rare or unusual tree species and cultivars are dispersed over the lawns and play the role of salt and pepper in the landscape dominated by indigenous tree plantations. Other important collections (e.g. Rosa and Paeonia) are occasionally open to the general public. Well-represented plant families (on the whole outdoor collections) are Pinaceae (43% of extant species of the world), Aceraceae (42%), Betulaceae (39%), Hydrangeaceae (37%), Caprifoliaceae (33%), Cornaceae (31%), Cupressaceae (20%), Berberidaceae (16%), Ranunculaceae (14%) and Rosaceae (13%). Some trees are really champion trees of Belgium and need special attention or care. Special Collections:Medicinal plants, conifers, tropical and subtropical crops, mediterranean plants, Rubiaceae, Cactaceae, bromeliads, palms, cycads, agaves, Gesneriaceae, orchids, Araceae, Begonia, succulents, Magnolia, Quercus, Rhododendron, Acer, Hydrangea, temperate shrubs and trees, perennials, biennials, annuals. Wild Phaseoleae - Phaseolinae. Maintains a seed bank with long-term storage capacity.Wild Phaseoleae - Phaseolinae, Begonia, cycads, Festuca, orchids. Metal-rich substrates have driven the evolution of some of the world’s most remarkable and rare plants. This is the case in Upper-Katanga, including some of the largest ore bodies of copper and cobalt in the world. These metalliferous sites are represented by hills isolated in the woodland, where the total copper concentration in the soil is 200 times higher than in standard soils. These extreme conditions have led to the formation of a unique type of vegetation: “the copper flora”. Katangan copper hills are recognized as a hotspot with more than 600 species from which 32 are strict endemics. These plants represent a valuable phytogenetic resource for revegetation and restoration programs, for the phytostabilisation and for the remediation of heavy metal pollutions. Conservation actions are imperative to prevent the extinction of the copper flora which is highly threatened by ongoing mining activities. Since 2007, the Botanic Garden Meise is involved in a unique conservation project led by the University of Liège (Belgium) and funded by the company Tenke Fungurume Mining. In-situ and ex-situ conservation strategies are combined, involving ecosystem reconstruction (e.g. topsoil transfer), species translocations, and the development of ex situ collections in Belgium and in DR Congo (University of Lubumbashi). The seed bank of the Botanic Garden Meise is the only in the world conserving 65 species (883 accessions) of the Katangan copper flora according to international standards (5% moisture content and -20°C). 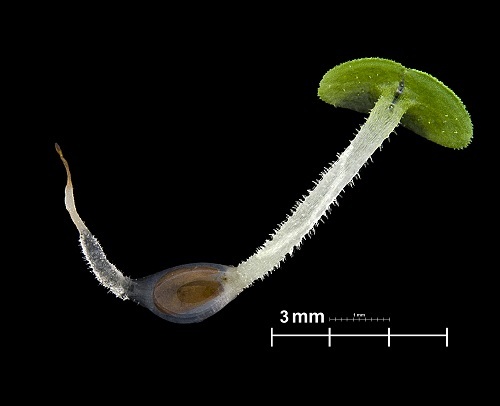 As translocations involving these species at risk are particularly difficult, amongst others because of narrow ecological requirements, the scarcity of seed source populations, low seed quality and/or unknown propagation method, it was of utmost importance to understand the germination requirements of the 65 species conserved in the seed bank. A total of 174 germination trials were conducted under controlled environmental conditions. Considering all species together, germination and viability of fresh seeds reached on average 71 % and 82 %, respectively. Their storage behaviour (desiccation tolerance) was also determined through repeated tests after 6, 12 and 24 months in seed bank conditions. A subset of the germinated plants has been transferred to the nursery in order to develop a propagation protocol. After a few years testing in the nursery, we can now confirm that most of these plants do not need the presence of heavy metals in the growing medium, even those that are hyperaccumulators. Their propagation can therefore be done without the addition of copper or cobalt in the substrate, which makes things easier. This research output is used by the mining company in the rehabilitation plans of the areas impacted by the mining activities. Please contact Sandrine Godefroid for more information about this project. In Europe semi-natural grassland habitats and their characteristic species are considered as highly threatened. Southern Belgium is an important area for the conservation of semi-natural grassland types listed in the annexes of the Habitats Directive. There is an urgent need to preserve, restore and manage the few remaining, often degraded, habitat patches. Part of this task includes the restoration of populations of critically endangered plant species that without intervention would not regenerate naturally due to restricted seed dispersal abilities and the absence of a persistent seed bank in the soil. 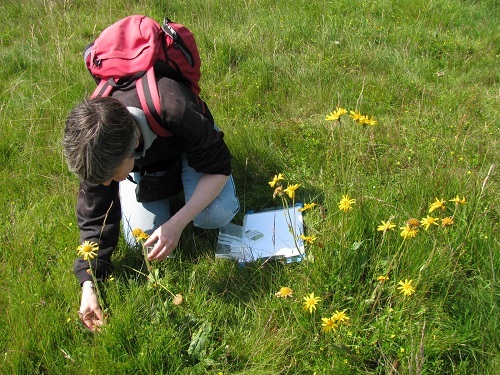 Botanic Garden Meise, in the framework of the EU-LIFE project “Herbages” (LIFE11NAT/BE/001060), has implemented population translocations into the wild for four critically endangered plant species (Dianthus deltoides, Helichrysum arenarium, Arnica montana and Campanula glomerata). The aim is to increase the effective size of remaining populations (reinforcement) and to restore extinct populations (reintroduction) in order to improve connectivity in the landscape. Reintroductions were prepared using a four-step approach: 1) the selection and profiling of the target species; 2) the source population selection and seed collection; 3) the development of propagation protocols and 4) the assessment of plant fitness of the populations used as seed source before planting out. For each species, a population of 500 to 700 young individuals was transplanted into three to six sites. Once in situ these plants (which are permanently labelled) were precisely mapped to facilitate their long-term monitoring. Each translocated population consists of a mixture of plants from different origins arranged in order to maximise pollen exchanges between different origins. The first results have been very positive: over 90% of reintroduced individuals survived the transplantation stress, and the flowering rate (>30% on average) is impressive, sometimes just a few months after transplantation. 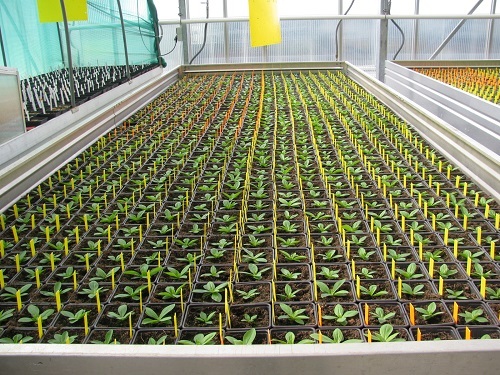 Seedlings and clonal propagation have been observed indicating a potential for population expansion. Monitoring of reintroduced populations will continue for 10 years as only a long-term monitoring will tell what their future will be in the long run. Please contact Sandrine Godefroid for more information about this project.